In Shenzhen, the genetic secrets of life roll off machines by the minute. Here at the global headquarters of BGI-Shenzhen, housed in a former shoe factory, the genomic revolution runs on an industrial scale. Powered by an army of young lab technicians and banks of high-end, U.S.-made sequencers that hum 24/7, the DNA of human kind is decoded with conveyor-belt speed and brute force. But not just human DNA. Once known as the Beijing Genomics Institute, BGI is on a mission to sequence the genomes of a vast array of living things. It has already done rice, the cucumber, the Giant Panda, the Arabian camel, the chicken, the coronavirus behind severe acute respiratory syndrome (SARS), 40 strains of silkworm and the Tibetan antelope, to name just a few. Its services are in high demand. It has unravelled the DNA of a 4,000-year-old Greenlander dubbed Inuk, teamed with Saudi Biosciences to sequence Arab genomes and with the University of Edinburgh to decode plants, animals and people in Scotland. Canadian and U.S. research groups are repeat customers. As with many things made in China, the price is hard to beat. Drug companies, doctors and researchers around the world are in awe, and more than a bit envious of BGI’s resources. But along with the envy, there is discomfort and, in the United States, outright fear that an enterprise backed in part with bank loans supported by the Chinese government has unfettered access to the genetic building blocks of humanity. DNA, after all, contains the chemical hallmarks of what makes each of us unique – the raw material that may hold the keys to the next breakthroughs in science and medicine. What might China – with its poor record of enforcing intellectual property laws and history of human-rights abuses – do with this information? U.S. officials first raised eyebrows after BGI snapped up a record-breaking order for 128 cutting-edge sequencers made by San Diego-based Illumina. but the concerns are more urgent now that the authorities are deliberating whether to allow the Chinese company to buy Complete Genomics of California, a major U.S. sequencing company. The acquisition would help to cement China’s supremacy as the world’s top genome sequencer, boost its technical prowess and give it a strong U.S. base, but the deal has officials there fretting over both the security of genetic data and national security. Because the technologies involved “have national security implications related to bioweapons, this bears strict scrutiny,” says Michael Wessel, who sits on the U.S.-China Economic and Security Review Commission. “Are there capabilities here that can be adverse to American interests?” he told the Washington paper Politico last week. But some feel that such fears have more to do with trade than security. Last week, The Associated Press reported that China has overtaken the United States as the world’s largest trading partner. This week, the United Nations found it also has surpassed the U.S. in patent applications, although the quality of its patents is often disputed. BGI argues that there’s “absolutely no basis for such a wild and speculative claim” of national-security threats and bioweapons risks. It says those fears are sour grapes seeded by Illumina, which also bid for Complete Genomics but lost to out to BGI. BGI denies that it is state-owned, but, ironically, even as it makes a big play for the world’s DNA, China is cracking down to ensure that the genomes of its own citizens stay home. 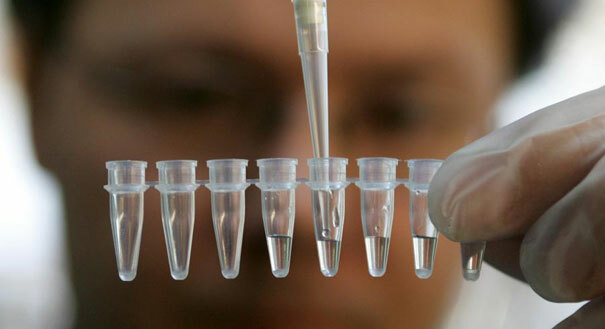 Its state council is now drafting regulations to protect the country’s “human genetic resources,” fearing that it will lose intellectual-property rights over its citizens’ genetic information.